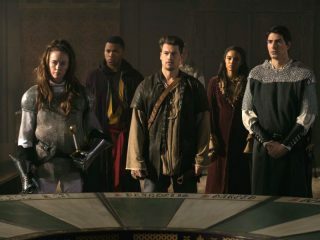 After Rip beats the team to a piece of the Spear in the distant future the Legends travel to sixth-century Camelot, where a member of the JSA has shaped real-world history to fit the legend of King Arthur — and where Rip and Darhk are using mind-control technology to find the next spear fragment. The Legends continue their quest to hunt down the Spear of Destiny before the pieces fall into the hands of the Legion of Doom. The Legends discover that pieces of the Spear are each being guarded in different time periods by members of the JSA. Their first stop is the future where they find Dr. Mid-Nite (guest star Kwesi Ameyaw) which eventually leads them to the past and King Arthur's Camelot, where Stargirl (guest star Sarah Grey) is protecting her piece of the Spear. 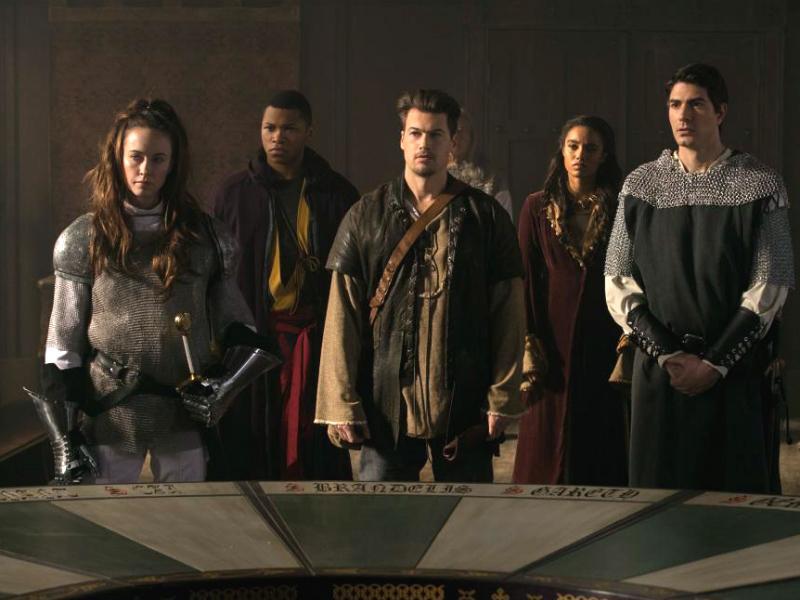 In order to protect the Spear shard from the now-evil Rip Hunter (Arthur Darvill), the Legends must join forces with the Knights of the Round Table. 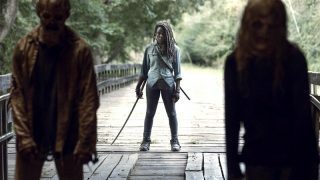 Caity Lotz, Franz Drameh, Victor Garber, Brandon Routh, Dominic Purcell, Nick Zano and Maisie Richardson-Sellers also star. Antonio Negret directed the episode written by Anderson MacKenzie (#212).